These modules are designed for use in emergency evacuation systems and are powered by an external 24V DC source. 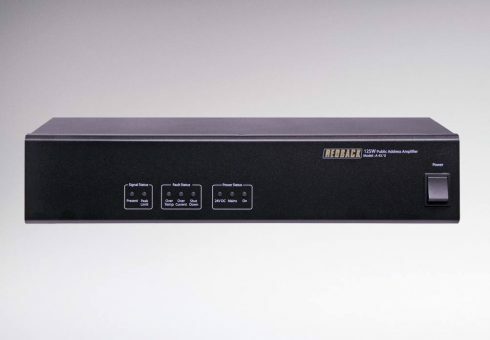 They accept a line level audio input and produce a 100V line output via a transformer. 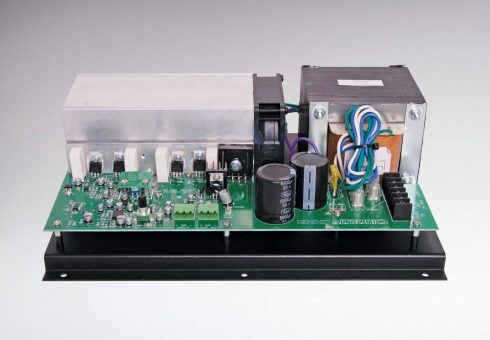 This booster is ideal for installations requiring a high power zone amplifier. Ideal for use in shopping centres, pedestrian precincts, public transport facilities and convention centres. Rated at 125W RMS for powering strings of 100V line speakers. 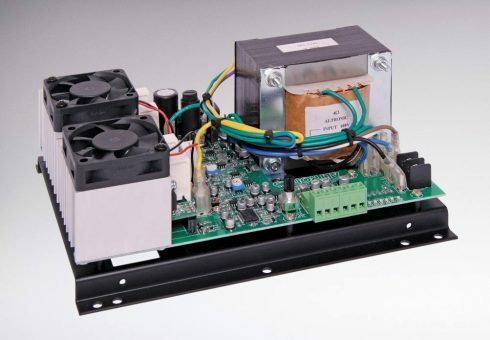 This booster is ideal for installations requiring a high power zone amplifier. Ideal for use in shopping centres, pedestrian precincts, public transport facilities and convention centres. Rated at 250W RMS for powering strings of 100V line speakers. 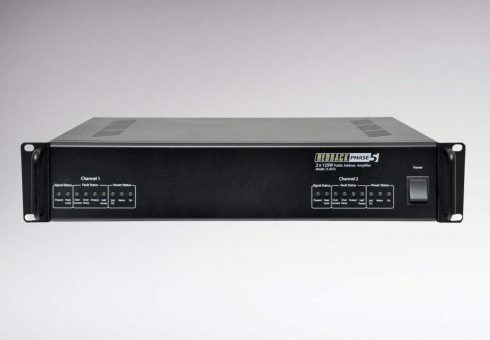 This booster is ideal for installations requiring a high power zone amplifier. Ideal for use in shopping centres, pedestrian precincts, public transport facilities and convention centres. Massive 500W RMS rating suitable for powering long strings of 100V line speakers. 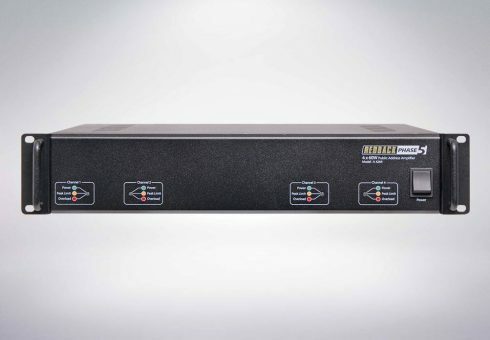 Engineered to meet the growing demands of venues such as RSL clubs, taverns, hotels, conference & function centres enabling individual program sources to play to different rooms simultaneously. 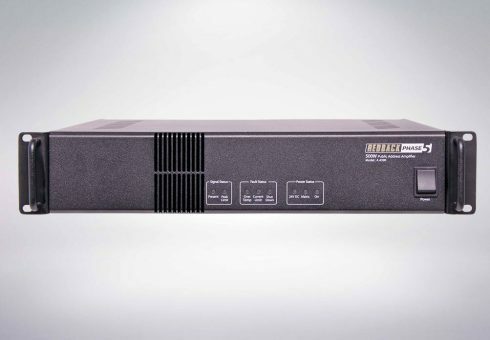 Houses 4 independent 60W power amplifiers together in one compact 2RU 19” chassis. Two 125W amplifiers in a single chassis, designed for powering two individual high power zones with different input sources. Ideal for larger installations such as pedestrian precincts, shopping centres, large venues and public infrastructure. 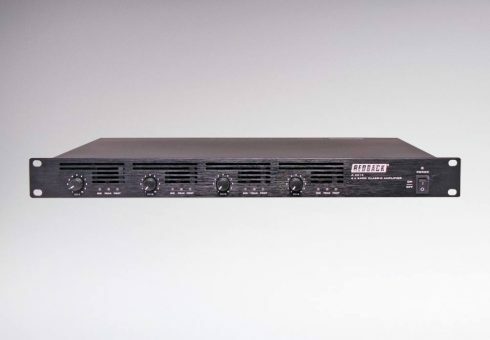 This compact four channel Class-D design amplifier provides four independant 240W power amplifiers built into a single 1RU 19” rack mount chassis. It is ideal for use in environments where four individual program sources are required in different building zones. Ideal for use in hotels, function centres, shopping malls and commercial offices. 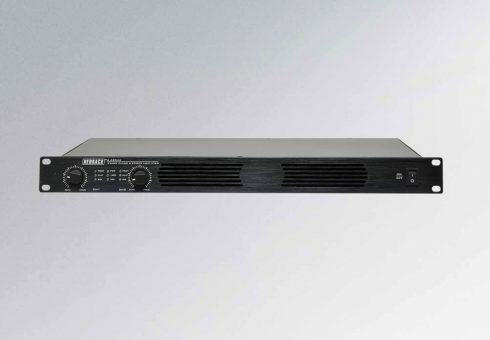 This compact two channel Class-D design amplifier provides two independant 240W power amplifiers built into a single 1RU 19” rack mount chassis. It is ideal for use in environments where two individual program sources are required in different building zones. Ideal for use in hotels, function centres, shopping malls and commercial offices. 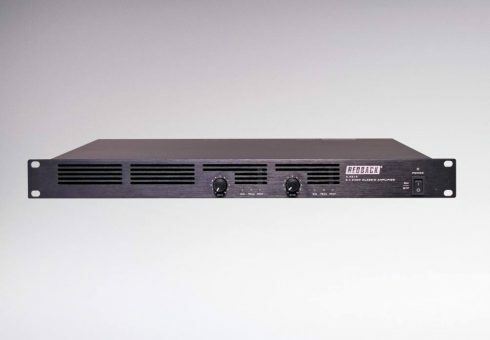 A compact class-H amplifier design with 4x60W output for powering two zones of 100V line speakers in a public address system. Ideal for use in environments where individual program sources are required in different building zones. Ideal for use in hotels, function centres, shopping malls and commercial offices. 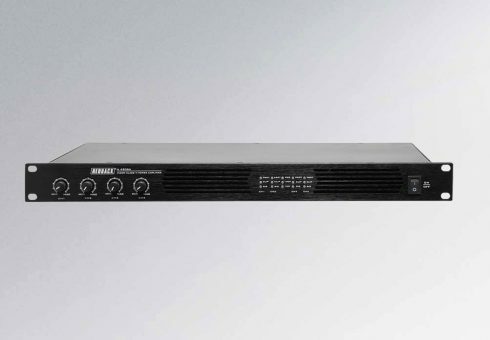 A compact class-H amplifier design with 2x60W output for powering two zones of 100V line speakers in a public address system. Ideal for use in environments where individual program sources are required in different building zones. Ideal for use in hotels, function centres, shopping malls and commercial offices.